Heroes, Heroines, and History: The Lifesaving Women of Saugerties *plus Giveaway! The Lifesaving Women of Saugerties *plus Giveaway! “Help! Help us!” The frantic voices of sailors were lost in the storm as they cried out after their ship overturned. Waves crashed over them as they clung to the sides of their vessel. Would someone at the lighthouse see them and come to their rescue? Then they saw the boat, its two occupants rowing vigorously as they struggled against the wind and turbulent water toward the desperate men. Each time the boat crested a swell, it disappeared behind the next one as the sailors watched anxiously, wondering if that boat been lost, too. But hope returned when the boat emerged from the waves, still headed their way. As the boat neared, one of their rescuers leaned across its bow and reached out to grab the closest sailor and pull him onboard as the other rescuer kept the boat under control. One by one, the men were rescued, thanks to the strength and determination of the people in the lighthouse boat. Not until they were safe at the lighthouse did the men realize their rescuers were two young women, Katie and Ellen Crowley, daughters of Saugerties Lighthouse Keeper Dennis Crowley. The following account of the incident, printed in an 1878 newspaper, was told by a river captain who witnessed the scene. The waves ran so high, the gale blew so madly, the thunder roared so incessantly, and the lightning flashed in such blinding sheets, that it seemed impossible for the women ever to reach the men, to keep headway, or to keep from being swamped. But they never missed the opportunity of a rising billow to give them leverage and they managed by steady pulling to get ahead until they reached the men in the water. The great danger was that the tossing boat would strike the sailors and end their career, but one of the girls leaned forward over the bow of the boat, braced her feet beneath the seat on which she had been sitting, stiffened herself out for a great effort, and as her sister kept the bow of the craft crosswise to the waves, caught one of the men beneath the arms as he struck out on top of a billow, lifted and threw him by main force into the middle of the boat, and then prepared for the other man. Katie, the older sister, was known for her ability to handle a boat, as well as swim. As a result of her proficiency in the water, the rescue was only one of many for which she was credited. She never boasted of her achievement and when pressed to comment on her heroic prowess she said, “We are simply two girls trying to do our duty here in this quiet place, taking care as best we can of our blind father and aged mother.” Her father had lost his sight due to cataracts shortly after he became the keeper of the light, becoming dependent on his children to handle most of the duties. So proficient in her duties, Kate became the official keeper at Saugerties Lighthouse in 1873 at the age of 20. 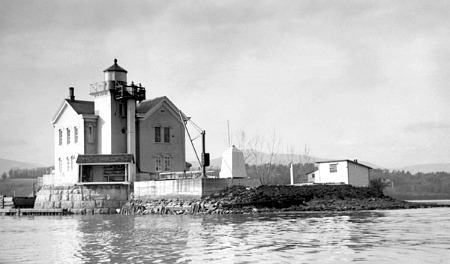 By 1964, the lighthouse had been abandoned, left to deterioration and vandalism. The US Coast Guard planned to demolish the building. But another heroic woman stepped in to save it. Ruth Reynolds Glunt, wife of Chester Glunt, who was keeper at Saugerties for 28 years, fought to save the lighthouse from demolition. Largely due to her efforts, the structure was placed on the National Register of Historic Places in 1978. 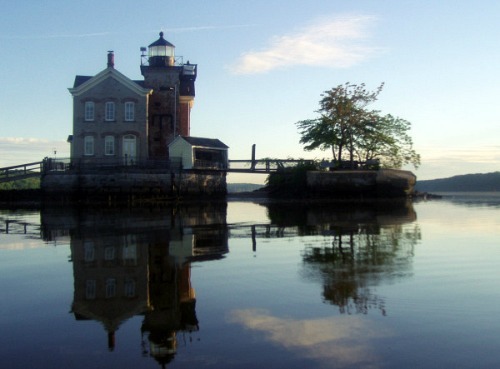 Today, the lighthouse is a bed and breakfast, thanks to restoration by the Saugerties Lighthouse Conservancy which purchased the property in 1986. 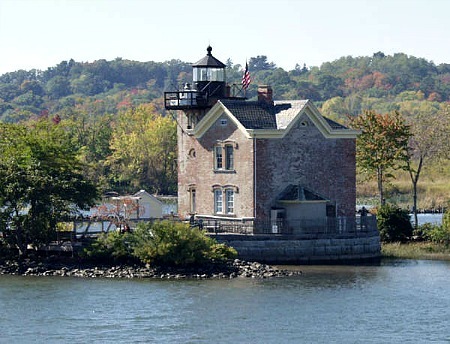 Two women – Kate Crowley and Ruth Glunt are known for their heroic efforts at Saugerties, but while one saved people, the other saved the lighthouse. Both were passionate about their missions, and as a result, other people have been blessed. 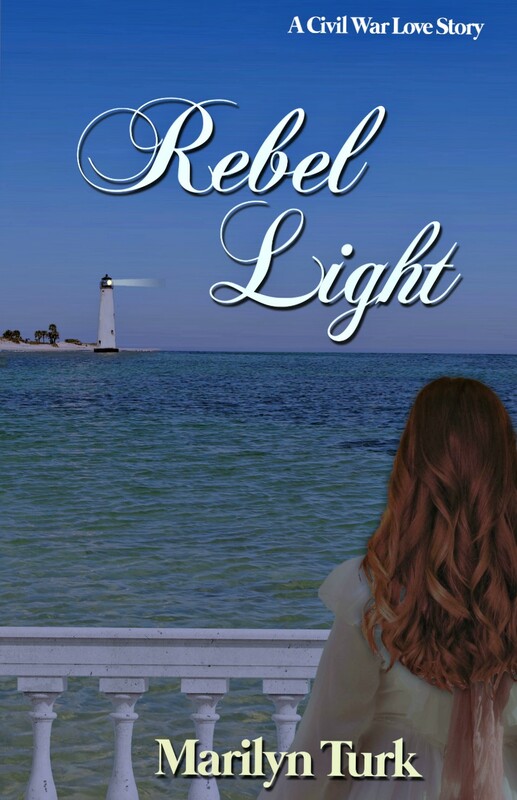 *Leave a comment to be entered in a drawing for a copy of Rebel Light, the story of romance during the Civil War on the Gulf Coast of Florida and the lighthouse that played a key role in it. Marilyn is also the director of The Christian Writers Retreat at Blue Lake March 22-25. If you live in the Gulf Coast area, take advantage of this local writers conference. See http://bluelakecwr.com/ for details and registration. Thank you for sharing your very interesting post! So glad the lighthouse was spared! How interesting!! I love lighthouses and love to read about them. Rebel Light looks like a great story. thanks, Melissa. I share your love of lighthouses - can you tell? Paula, you and I have that in common! Glad to know another lighthouse was persevered. Interesting and informative post. Rebel Light sounds like a fantastic read with the setting The Civil War. I love reading stories during this time period. Thank you for the giveaway. God bless.